I've been rushed off my feet these past couple of weeks doing many things paid and unpaid that allow me to survive. The rest of my adventures in Jeju are coming, but first a short detour into deliciousness. Top row left to right - herring, mackerel, flatfish ceviche (with lime and coriander). 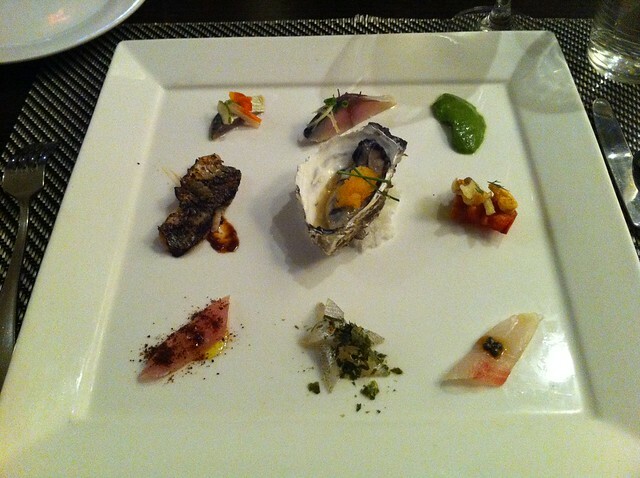 Centre row left to right - crispy gizzard shad skin, oyster, sea squirt. Bottom row left to right - flatfish, pacific saury with seaweed, grey mullet with schezuan pepper. The seafood plate at the OKitchen is always a delight. There are old favourites that often appear alongside exciting seasonal oddities. The flatfish ceviche and the crispy gizzard shad skin are my favourites, though the oyster was highly praised by my dining companions. 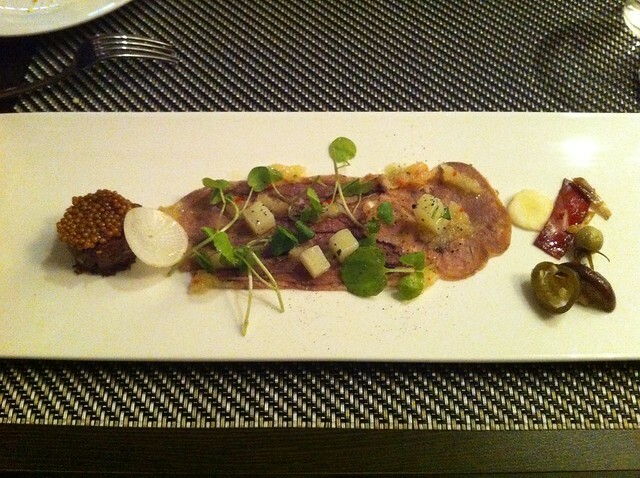 Beef tongue with assorted pickles and a jeotgal dressing. The thin strip of tongue mixed with the radishy fermented dressing was tasty, but nothing compared to the small circle of confit tongue topped with mustard seeds. Heavenly mustardy fatty goodness. 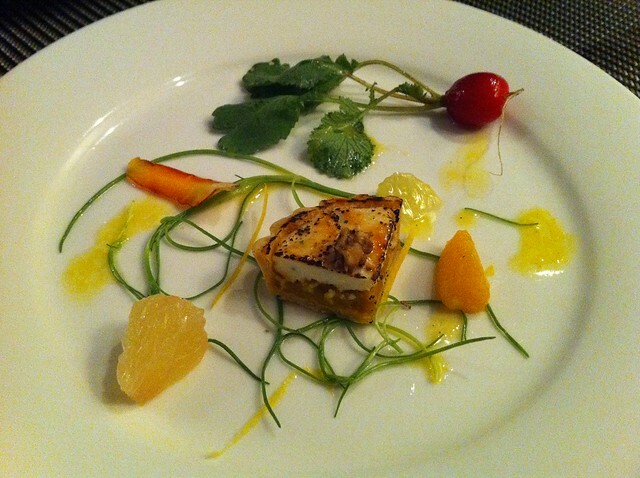 Goat cheese and sweet pumpkin tart with three citrus dressing. Garnished with a gorgeous radish from the OKitchen farm, this cinnamon scented slice of tart was perfectly pared with a lemon, orange and grapefruit dressing. 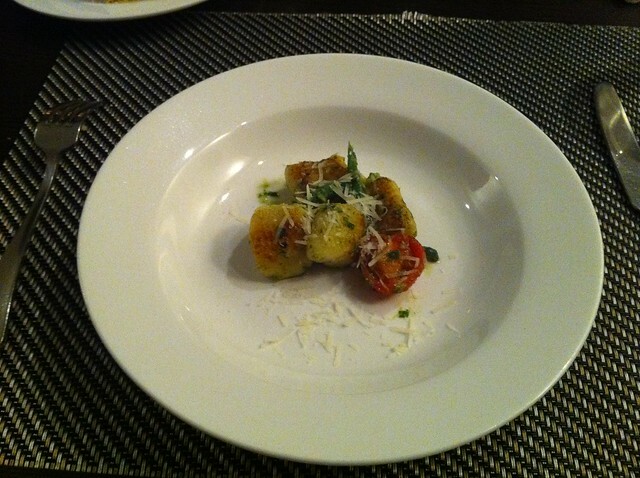 Simple, tasty, chewy parcels of potato goodness lathered in pesto and sprinkled with cheese. Perfect for a cold November night. The OKitchen refuses to rest on its laurels, producing a light and sweet palate cleanser. 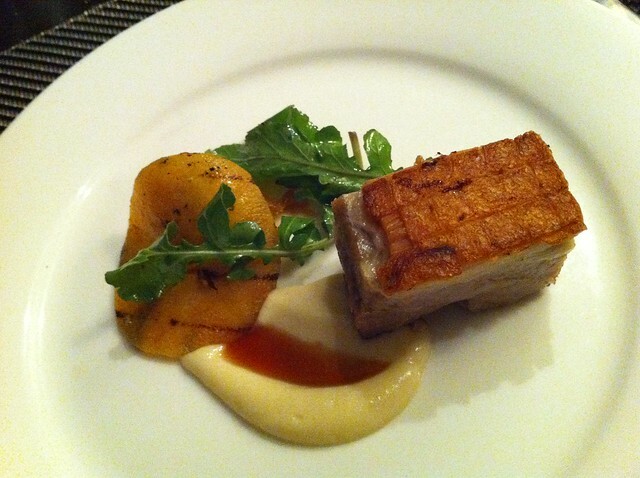 Pork belly confit with persimmon (half dried, grilled and gastric), parsnip purée. The star of the show. I'm not sure why more people aren't doing this. Pork and persimmon are a match made in heaven. Plus the OKitchen is possibly the only place in Korea that offers parsnip in any way, shape or form. 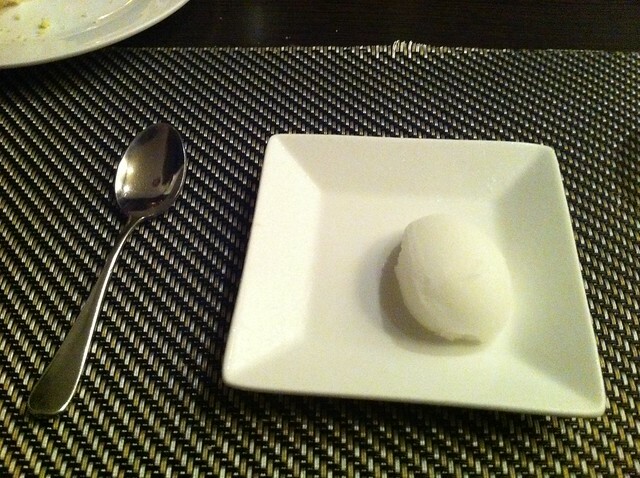 All magnificent, with special praise going to the omija sorbet. 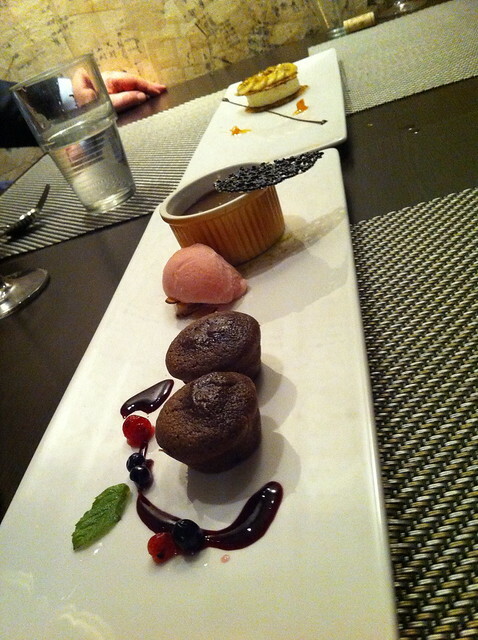 These photos may be blurry, but the food, as always, was heavenly. OKitchen remains my favourite restaurant in Seoul and gives incredible quality and variety for ridiculously cheap prices. Visit their website here.